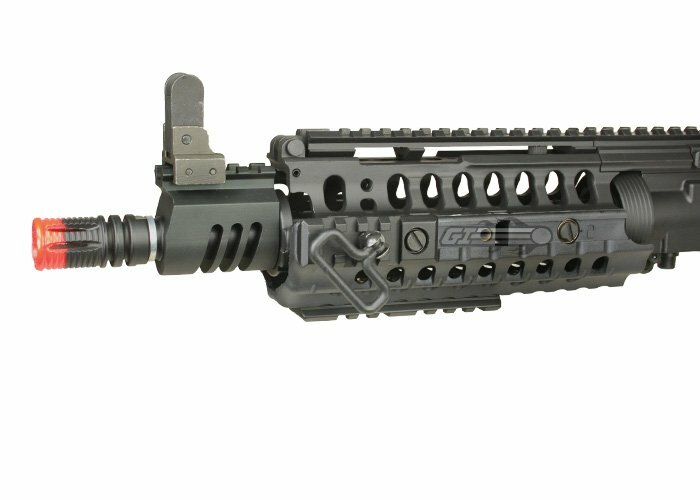 The ICS M4 S-System Commando Complete Upper Receiver comes with everything you need to instantly change your M4. Just pop the font and rear pin out of your gun and throw this baby on and you'll have a railed M4 S-System Commando. 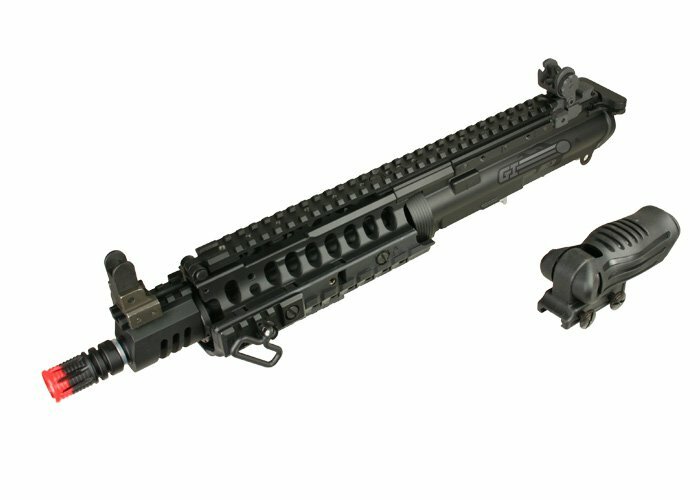 This kit comes complete with the upper receiver, R.I.S., gas block, front and rear sights, and complete upper gearbox. There is no sense in buying another gun when you can change your existing one within a few seconds. 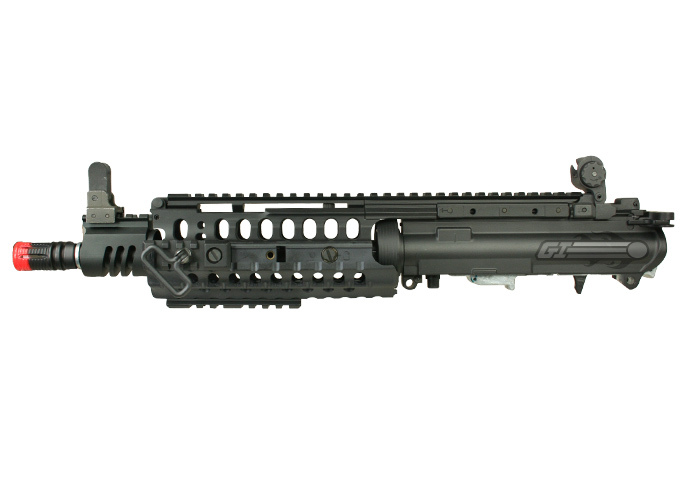 Package Includes: Entire upper receiver and front assembly. Most outer barrels should have 14mm counter clockwise threading. What type of material are the S-System receivers made out of? Are they polymers or metals? is this able to be shiped to canada? what is the outer barrel length? The outer barrel length should be 10.5". No, this is specifically for the ICS line of guns with the split gearbox design.